While cookies and cake taste good in the moment, it’s vegetables that make me feel good over the long haul. They’re what give me energy and keep me healthy. And in the sea of abundant holiday treats this time of year, eating more veggies would do us all some good. Marzetti makes products that enhance and compliment the freshness and the natural goodness of vegetables. Dips and veggies. They’re like peanut butter and jelly. They just go together. My daughter is a ranch lover. Anything ranch, she’s into it. 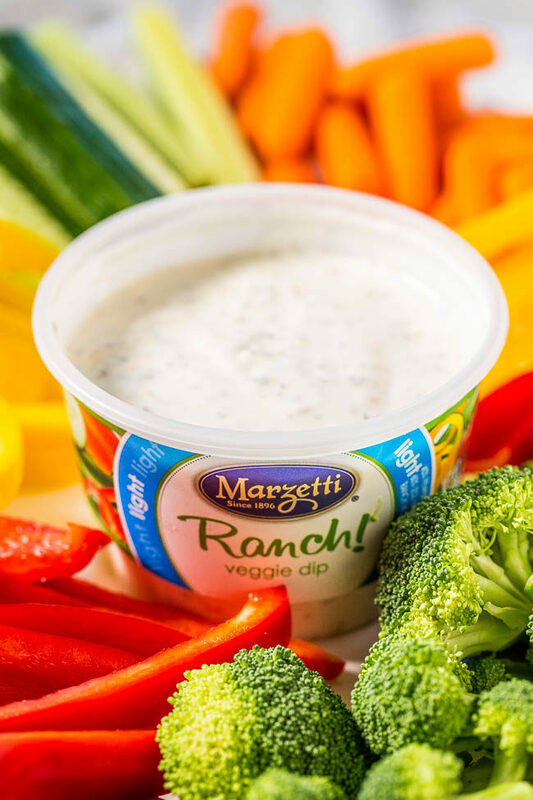 The Marzetti Light Ranch Veggie Dip has a perfect balance of savory flavors that complements crunchy carrots, crisp peppers, broccoli florets, or your favorite veggies. It has half the fat and calories with all of the thick, creamy, rich flavor. To spread some holiday cheer, I’m giving away a $50 Visa gift card! Tell me below in the comments section what your favorite dip is. My favorite marzetti dip would be the ranch, but my FAVE dip ever, has gotta be, Queso!!! Have four daughters and they all enjoy ranch, here in Arizona, they dip pizza in it. But, one of our favorites is a dill dip recipe that originates from a recipe my great grandmother used at a supper club she and great grandpa ran,many years ago along the bay,just outside of Green Bay, Wisconsin. She was an amazing cook, and was always baking bread. Sadly, the once wedding popular supper club had a few fires and has been closed for many years. But I have her dip recipe and a few others I know she used back in the day. Thanks for the giveaway and Happy Holidays! I love homemade bagel dip! Cheesecake dip…with sprinkles, because sprinkles make everything better! I absolutely love french onion dip! Mmm all these suggestions sound soo good! I’ve been using straight sour cream lately, but I think that’s the pregnancy cravings! Anything with parmesan in it sounds awesome! We are seven layer dip, fans, but with some taco seasoning in the sour cream. Spinach artichoke dip is my favorite, probably because it’s something I only have occasionally. Wish I had some now, in fact! I’ve been loving a Sriracha/Mayo dip lately!! 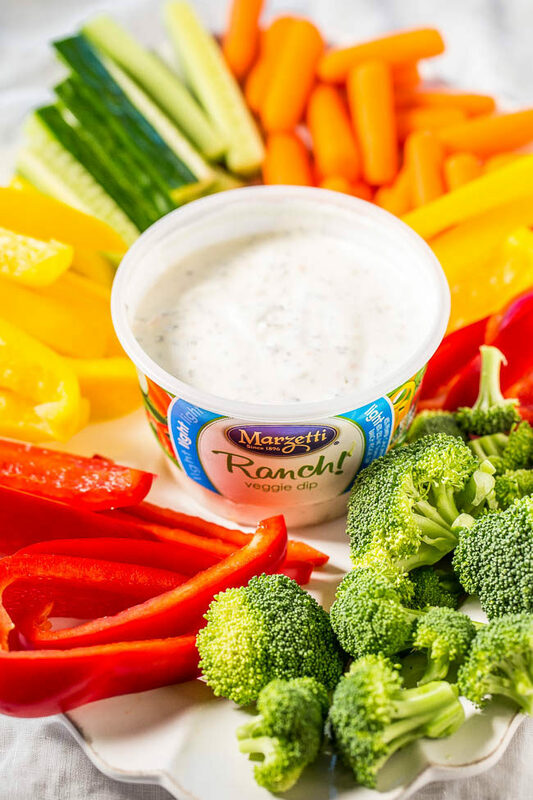 For veggies, good old fashioned ranch dip is my favorite! French Onion has always been a favorite of mine! My favourite dip is an Artichoke and Asiago dip. Wonderful with vegetables. I like almost all dips! I like to mix sour cream and salsa together for a quick dip. Any ratio is good!